FLIR introduced Raymarine DockSense assisted docking technology that automates and simplifies the boat docking experience. WILSONVILLE, Ore.--(BUSINESS WIRE)--FLIR Systems, Inc. (NASDAQ: FLIR) today announced the Raymarine DockSense™ assisted docking system, the marine industry’s first intelligent object recognition and motion sensing assisted docking solution for recreational boating. 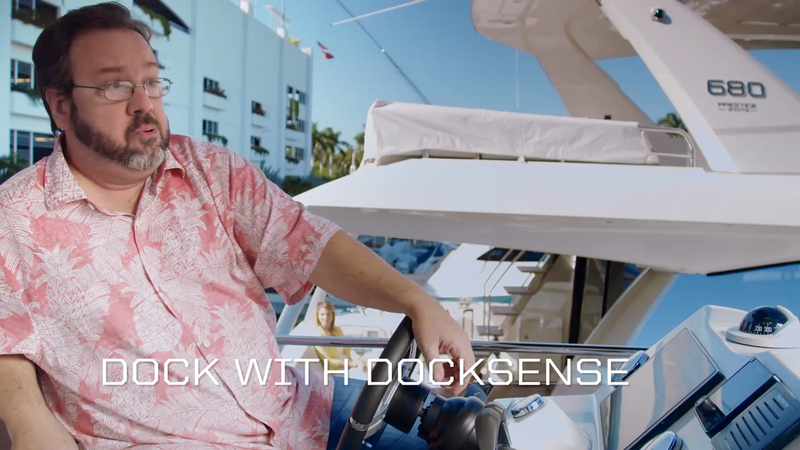 DockSense system uses FLIR machine vision camera technology and video analytics to integrate intelligence gathered from surrounding imagery with the vessel’s propulsion and steering system to assist boat owners in tight quarter docking maneuvering. Additionally, FLIR announced that Prestige Yachts, a Groupe Beneteau brand, will become the first to demonstrate the technology. A major international brand, PRESTIGE has positioned itself in the highly exacting market of luxury motor yachts. Manufactured in Vendée – France and devised by yachtsmen for those who love the sea, PRESTIGE® yachts are the jewel of French marine engineering. With the Garroni Studio, PRESTIGE designs the most livable yachts from 40 to 75 feet. Both FLYBRIDGE and SPORT ranges offer contemporary, high-design and clever motor yachts. The brand relies on an ever-growing worldwide professional dealer network. For more information please visit http://www.prestige-yachts.com.